SCARF provides a comprehensive scheme of work for PSHE and Wellbeing with over 250 lesson plans. Each with clear learning outcomes, they also cover the PSHE Association’s Programme of Study recommended learning opportunities. 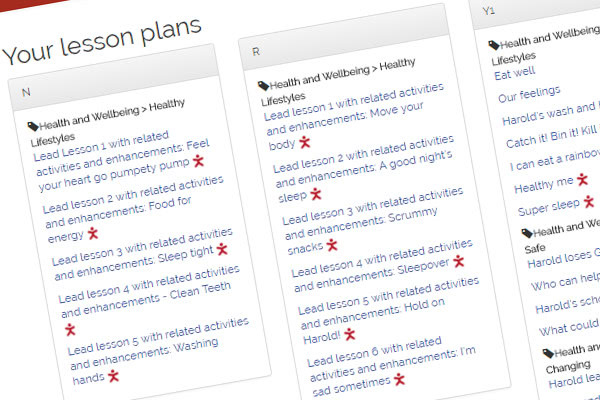 Lesson plans are organised online under the PSHE Association's programmes of Study core themes and topics, so that you can see clearly how they help you to cover these recommended requirements. Teachers using SCARF tell us that they particularly value its flexibility; it can be used as a lesson-a-week resource, or tailored to particular needs and specific issues that may arise during the year. Our online planning tool enables you to create your own short and medium term plans. Watch our specially-made film for a demonstration of how lesson plans are organised and accessed.